This MIUI 10 Global Stable ROM is based on Android 8 Oreo. After the MIUI 10 China Stable ROM, Xiaomi has now pushed MIUI 10 Global Stable Recovery ROMs to Mi Mix 2S and Mi 8 devices. Xiaomi smartphones sold internationally include the MIUI Global ROM, and company’s MIUI Stable means that this is the update that will be rolled out for all users irrespective of their region. 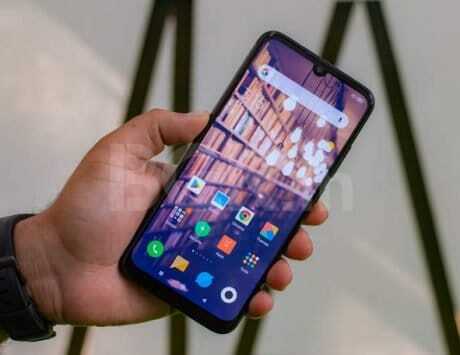 Now according to XDA-Developers, Users of the Xiaomi Mi Mix 2S with device code-name ‘polaris’ and Xiaomi Mi 8 device code-named ‘dipper’ can directly download MIUI 10 Global Stable ROMs for there devices. This MIUI 10 Global Stable ROM is based on Android 8 Oreo. Xiaomi has been very focused on MIUI updates over Android OS upgrade. The company had announced MIUI 10 Chinese version in May, while MIUI 10 Global was announced in June. In late August, Xiaomi rolled out both Chinese and Global beta ROMs of Android Pie for the Mi MIX 2s. These also included security patches up to September. Previously there were reports of Android 9 Pie-based MIUI 10 public beta developer version being made available for Mi Mix 2S. In just two weeks of testing closed beta update, Xiaomi reportedly started rolling new MIUI 10 8.9.7 public beta ROM based on Android 9 Pie for Mi Mix 2S. The Android 9 Pie-based MIUI 10 8.9.7 public beta update for Xiaomi Mi Mix 2S is said to bring latest September Android security patch as well. The update improves the fluency of the device in general and removes lag from the camera menu. It was also reported that the latest public beta developer version 8.9.7 is meant for testing and the stable build is expected to roll out in few weeks time.